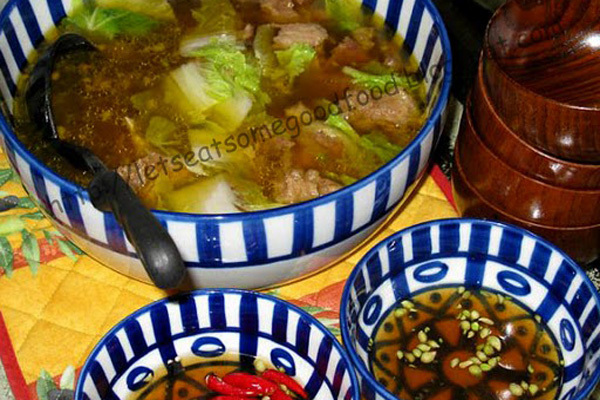 Beef Bulalo Recipe (Bone Marrow Soup Recipe) – Eats Yummy! My friend Ana cooked this Beef Bulalo recipe years ago when we and some of our good friends went to Tagaytay, a popular tourist and vacation destination in the Philippines, on a weekend. We also had Inihaw na Liempo and Potato Balls for dinner. Beef Bulalo (Bone Marrow Soup) is a popular soup recipe and one of Filipino’s favorite soup. The hotter it’s served, the better. This is also to minimize the accumulation of sebo (fat) that hardens in the soup as it cools. Make sure that you cook the beef until it becomes tender to fully enjoy its taste. Most Filipinos like this beef recipe prepared in cold weather. 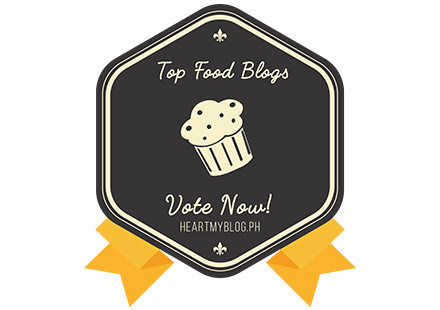 That’s one reason why most restaurants in Tagaytay has this beef recipe on their menu. You should not miss tasting it when visiting the place. Regardless how rich the soup is, Bulalo is best paired with a dip or sawsawan. As you can see in the photo, we have our dip handy as this easy beef recipe is best served with fish sauce and kalamansi. You may add chili for some extra kick to make the Beef Bulalo the best soup you will experience. Having said the above, there is really no need to go in Tagaytay or in cold places to savor the taste of this beef recipe. What we are sharing in this post is an easy and step by step Filipino recipe for Beef Bulalo that you can try to cook at home. Please make sure that you boil the beef longer to make sure it is tender. No one loves eating a gummy beef. The process will also make your soup flavorful with every sip. Place bone marrow and onion in a stockpot. Pour in water and bring to boil. Lower heat and simmer for about 40 minutes. Add the boneless beef shank or stewing beef. You may cleanse the beef of residues by draining or scooping the excess fat that set on top. Bring to boil again. Add the potatoes and bananas. Simmer until potatoes and bananas are tender, about 10 to 15 minutes. Add the cabbage. Stir in patis, salt, and pepper. Cook until cabbage is tender-crisp, for about 2 minutes. Serve with rice and Patis and Calamansi Dip. Tasty recipe! Thanks for sharing.